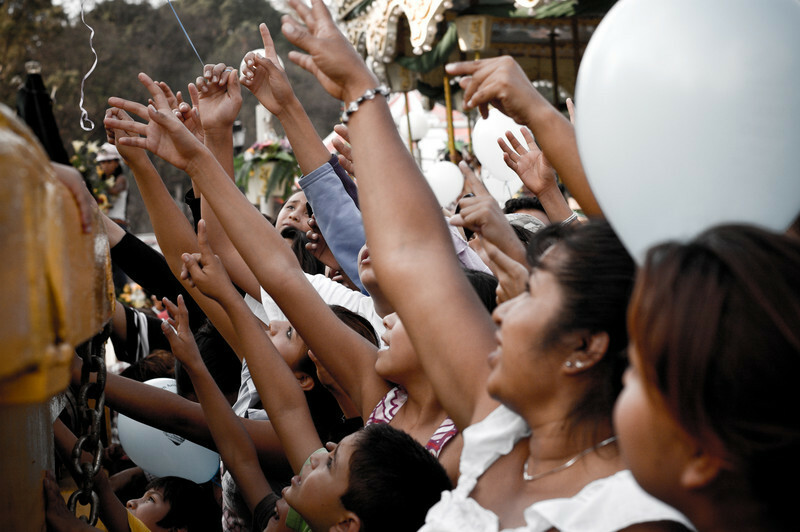 Onlookers reach for free balloons at the Miner's festival in Guanajuato, Mexico. 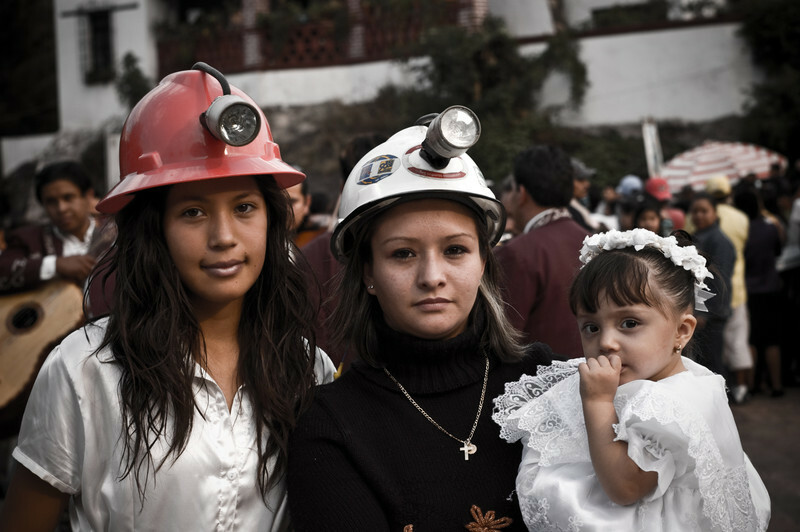 Queen of the mines. 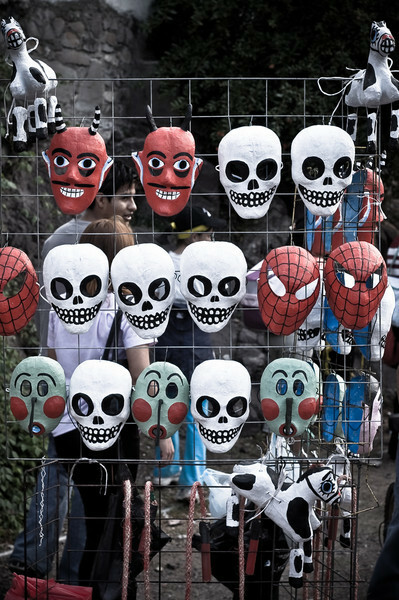 Guanajuato, Mexico. 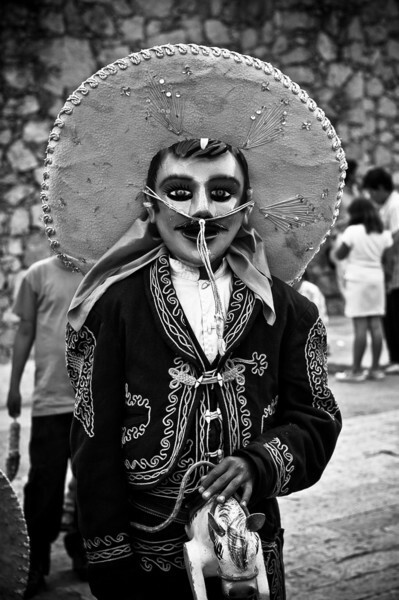 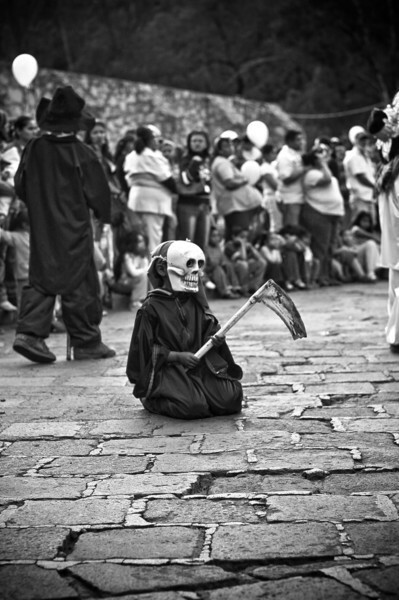 A boy in Guanajuato, Mexico is dressed as Death, one of many characters in Mexico's traditional "Danza del Toro" often performed during various festivals in Mexico. 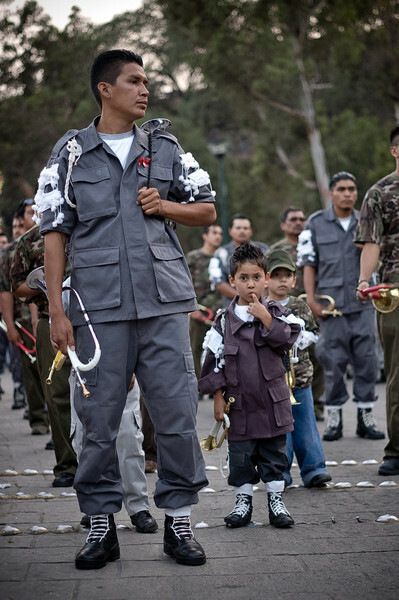 A father and his sons wait to play during the annual Miner's festival in Guanajuato, Mexico. 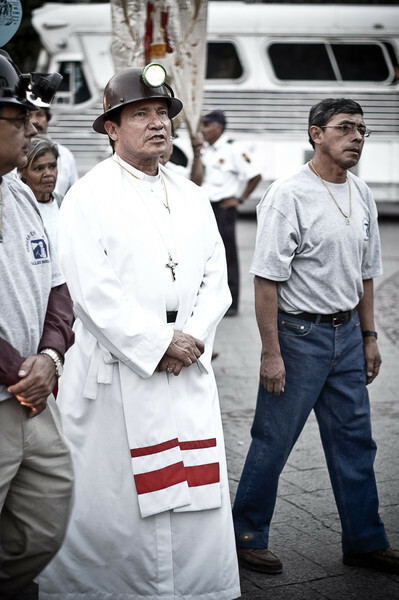 A priest leads a group of miners during a parade in Guanajuato, Mexico. 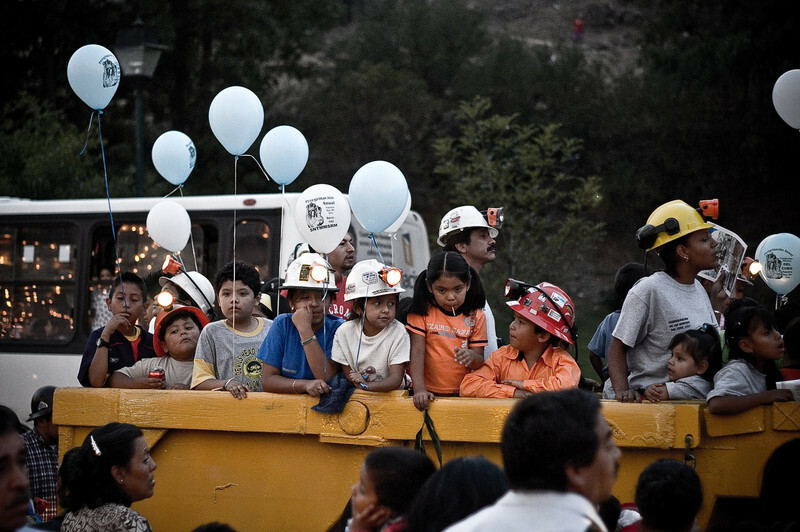 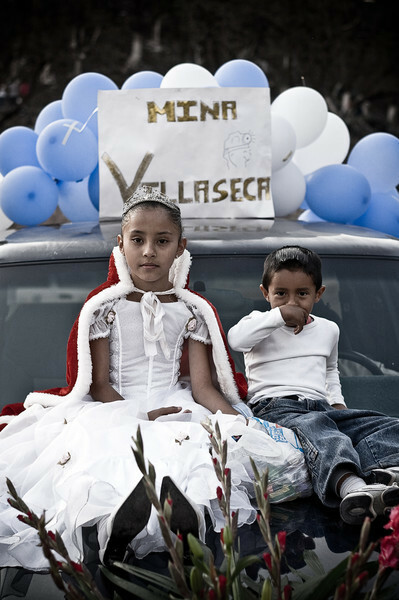 The children of miners take part in the parade honoring their parents. 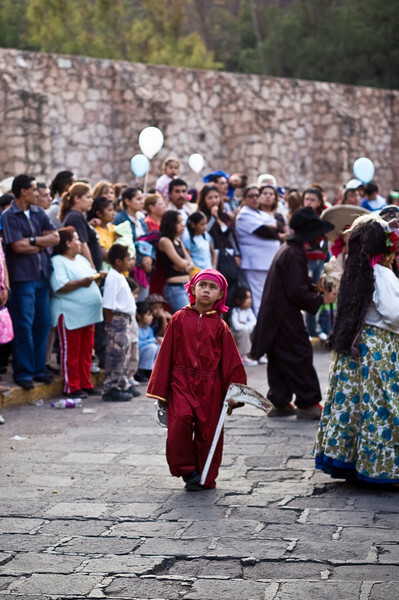 A carnaval in Guanajuato, Mexico. 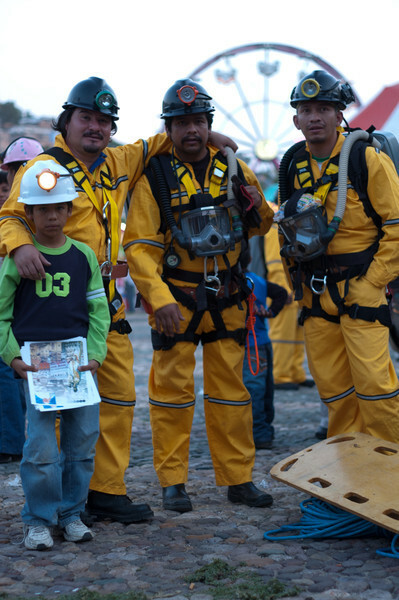 The family of a Miner in Guanajuato, Mexico. 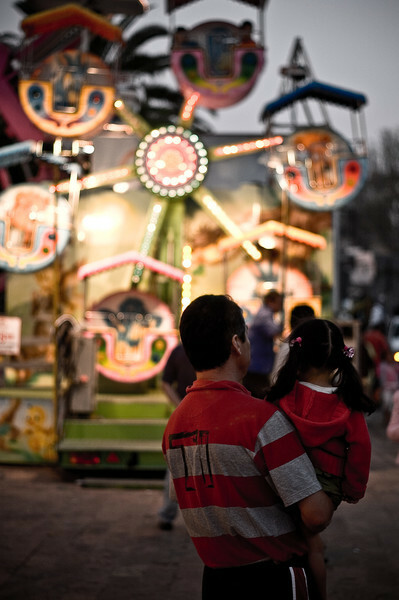 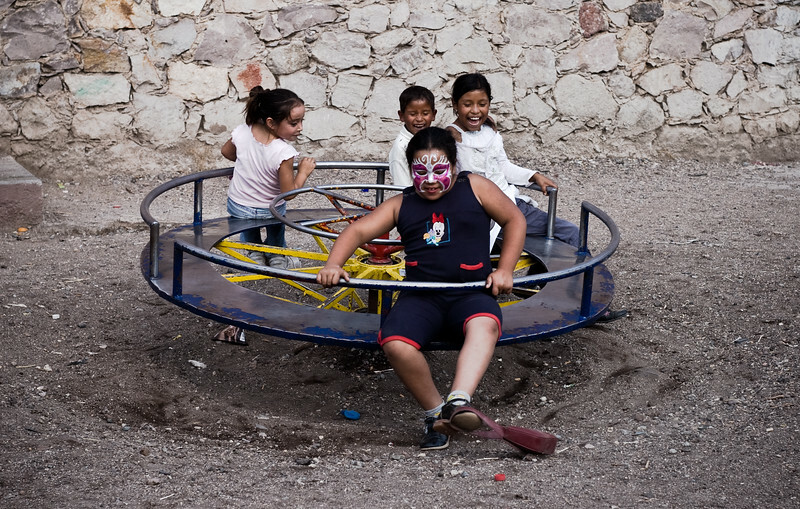 Children play in Guanajuato, Mexico during the annual Miner's festival. 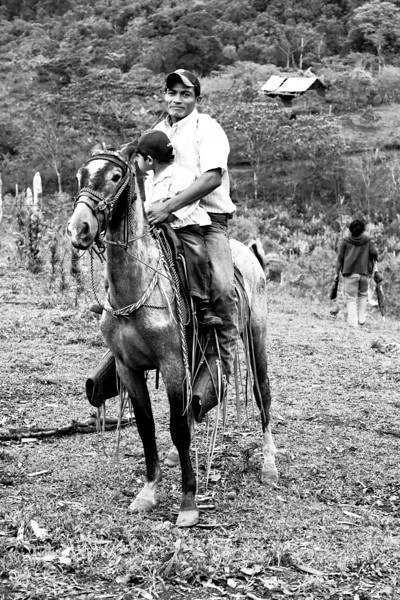 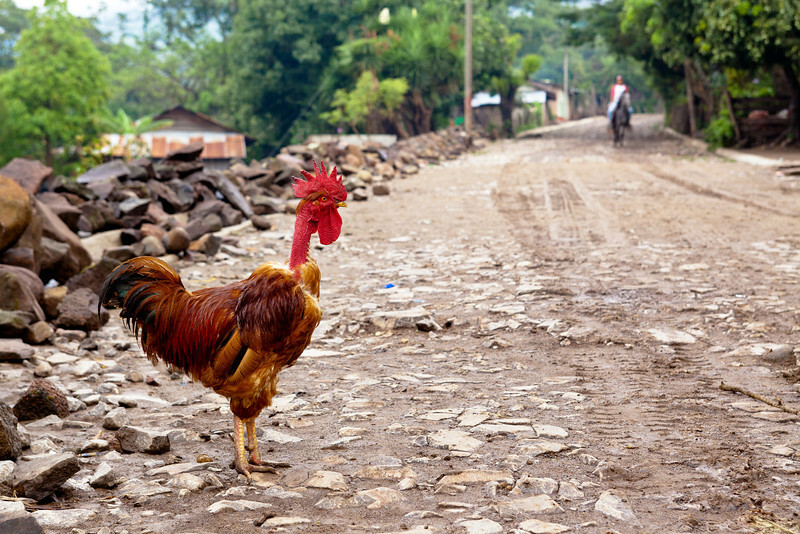 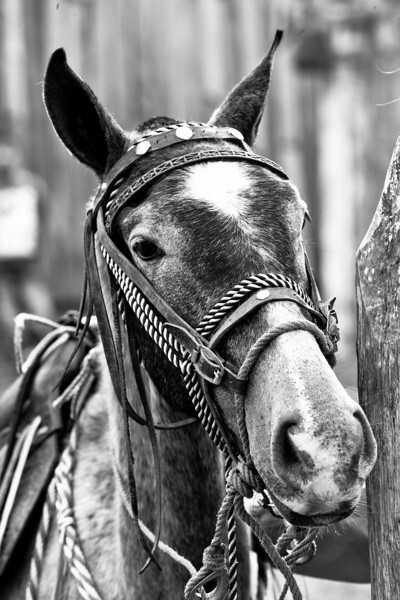 Many people still travel by horse in rural Nicaragua. 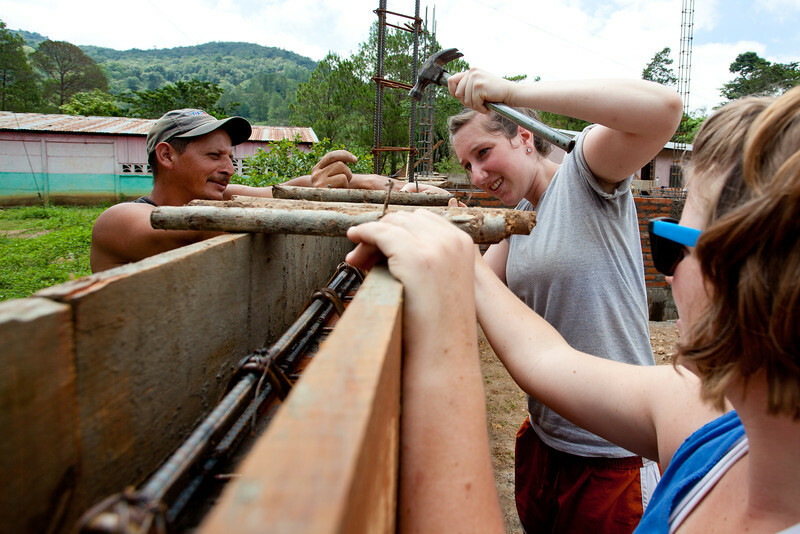 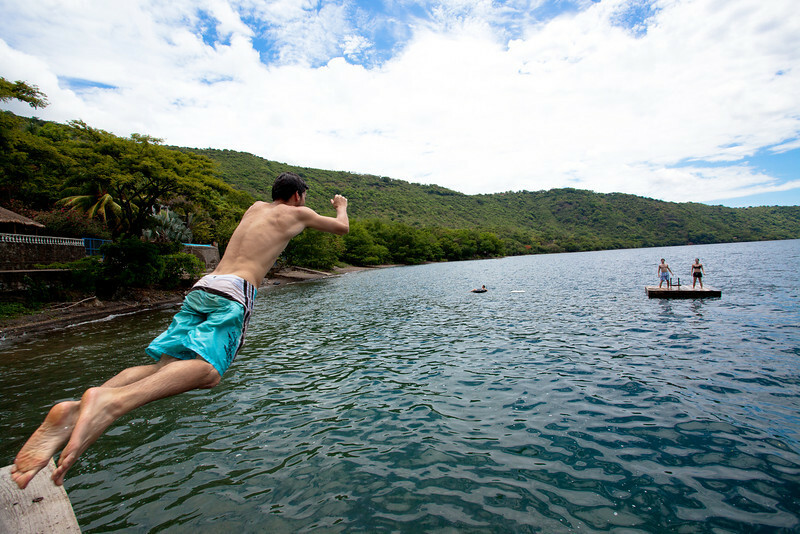 University of Portland students visit a school in rural Nicaragua during a three week socio-economic study abroad experience. 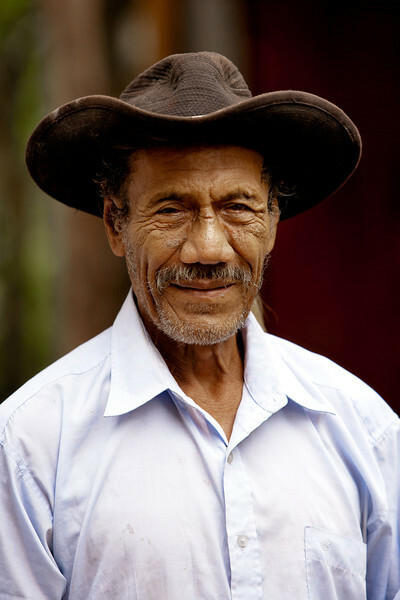 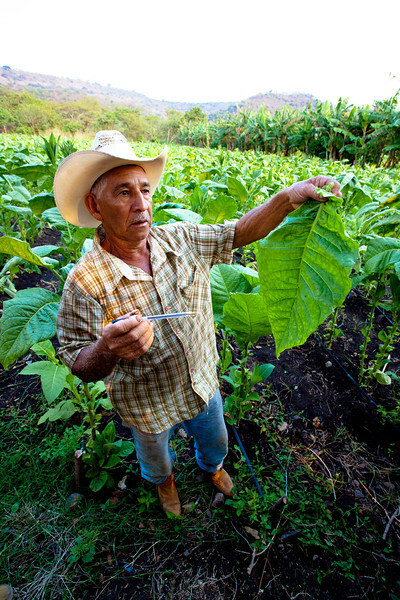 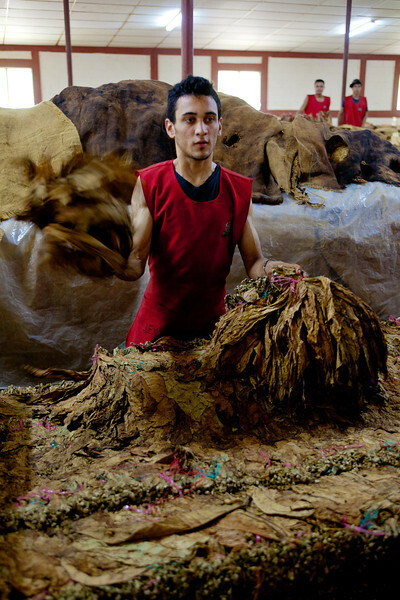 A farmer in rural Nicaragua shows us his tabacco, a crop that is now much more profitable than maize. 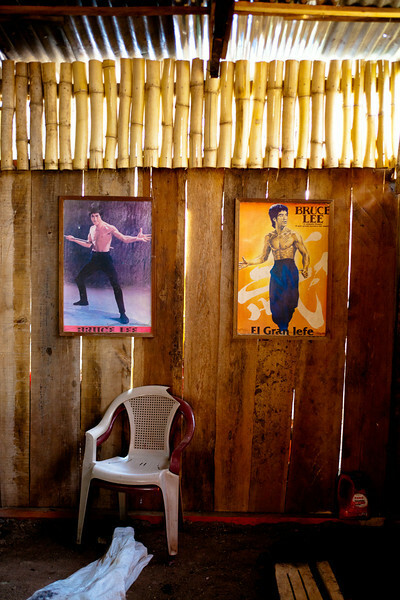 Bruce Lee adorns a cafe's walls in rural Nicaragua. 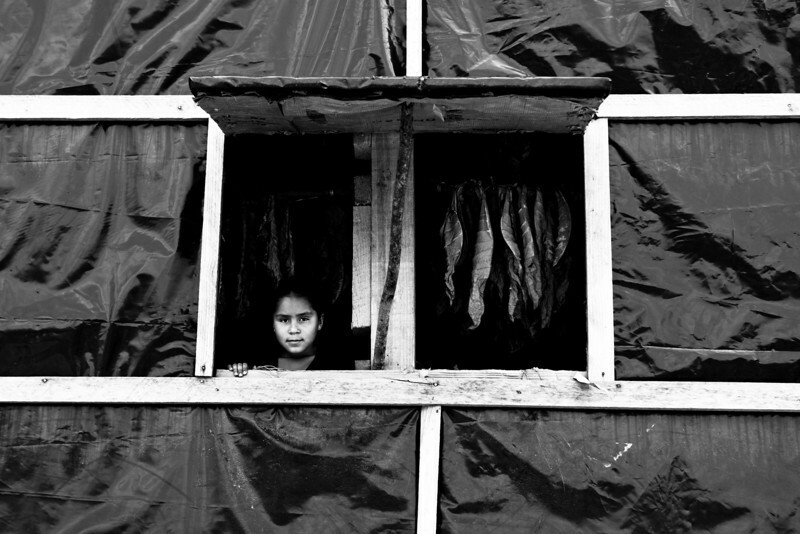 A young girl peeks out of a tabacco drying barn window in Nicaragua. 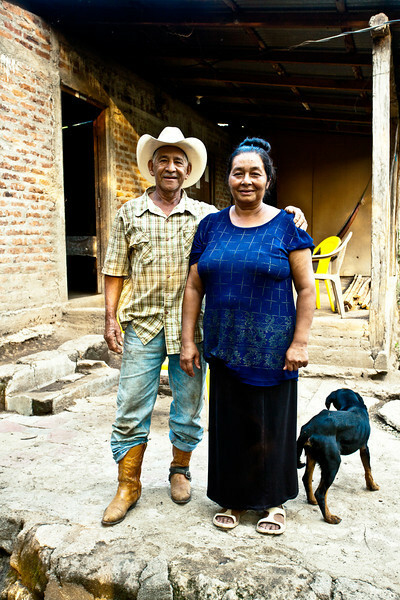 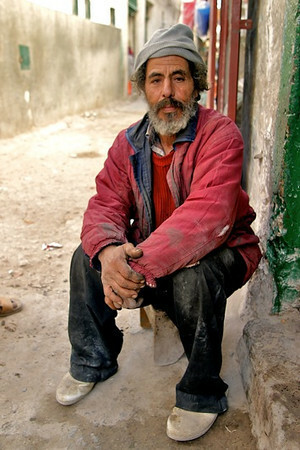 Seeing children working to help their parents isn't uncommon. 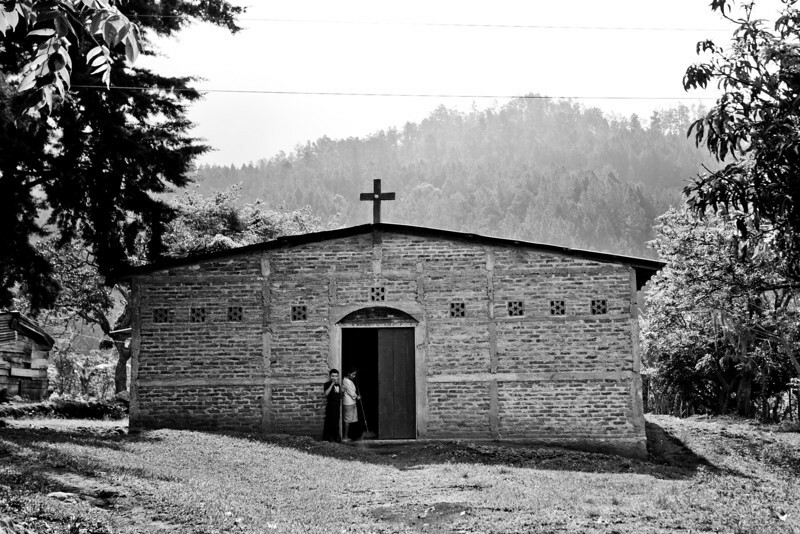 A rural church in Nicaragua.